Build and design your new home, with your pet in mind. Home owners love their pets, and they also love great design with modern function. So it’s no surprise that home builders and designers increasingly are being asked to consider pets when developing floor plans and custom amenities. If you have a small or medium-sized pet, consider finding a spot in your kitchen to create a built-in eating area. It can be as simple as using free floor space under the island to create a stylish spot for the food and water bowls. Or, declutter a large lower cabinet, remove the door and create a convenient feeding spot. You also can add a comfortable cushion instead for a cozy pet bed. 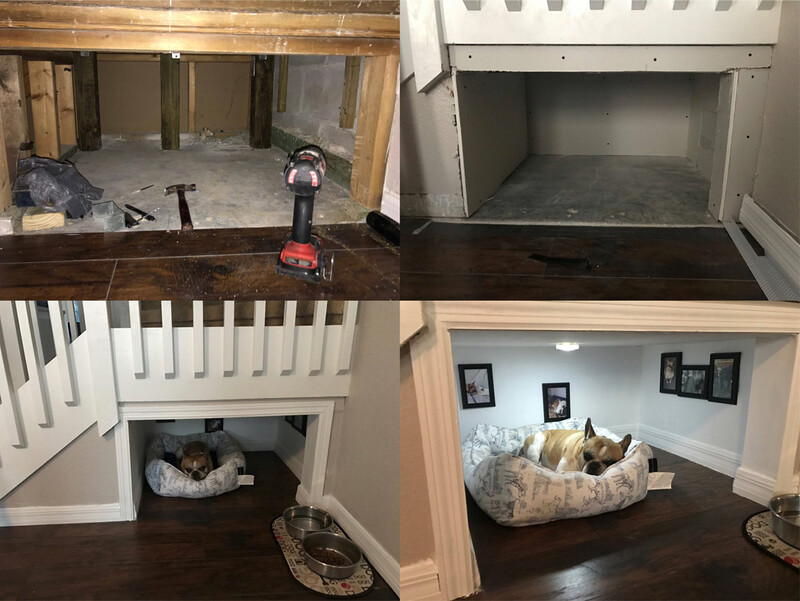 If you have a separate laundry room and/or mud room, there are many ways to utilize this space for your pets. A feeding station for your larger pet can be conveniently located beneath a boot bench. This also makes a great spot for a pet bed. At Kintner Modular Homes, we make sure our homes include all the essentials for your new home. If build and design with your pet in mind is what you want we can make you and your pets dreams come true. We offer packages so you can customize your home and make it the perfect house for you and your pet. From the very early stages of construction and permitting to the tiniest of interior details, to service on your home years after it’s built, at Kintner Homes, we are the complete package. The entire team is committed to building a better house and enhancing your building experience. You are not just buying a house; you are buying a Kintner Modular Homes. January 9, 2018 Home Decorating & Design Ideas.